Find a Self-Guided trip that explores Peru. There are 29 tours to choose from, that range in length from 3 days up to 15 days. The most popular month for these tours is October, which has the most tour departures. 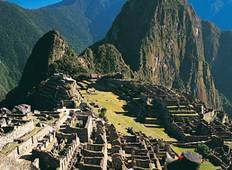 "Inca trail tour was very impressive! My guide Neyser was very knowledgeable and enthusiastic...."
"Amazing experience! It's very much worth the trip out there. Bamba tours made the..."
"We had a fantastic time on our tour of Salkantay and Machu Picchu. Ehrline was a..."
"It was a great experience! I was the only tourist who written down for this tour..."
"I loved the tour especially the hostel Milhouse in Cusco was awesome. Only issue..."
"This was an Excellent Tour with not so excellent execution. The Good: *Very well..."
"nice way to travel on your own." 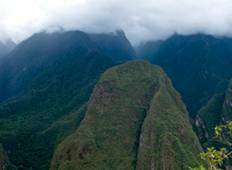 "I did the 10D/9N Inca trail trek, would highly recommend. The food provided during..."
"The Rainbow Mountain trek with Bamba Experience was great. The trip was well coordinated..."
"From day one of the Inca trail the staff of Bamba experience has been amazing, espesially..."